On January 14, 1942, President Roosevelt had issued order No. 2537, requiring Italian, German, and Japanese aliens to register with the Department of Justice. (NYT article) and on February 19, 1942, President Roosevelt issued Order 9066, which cleared the way for the relocation of Japanese Americans to internment camps. 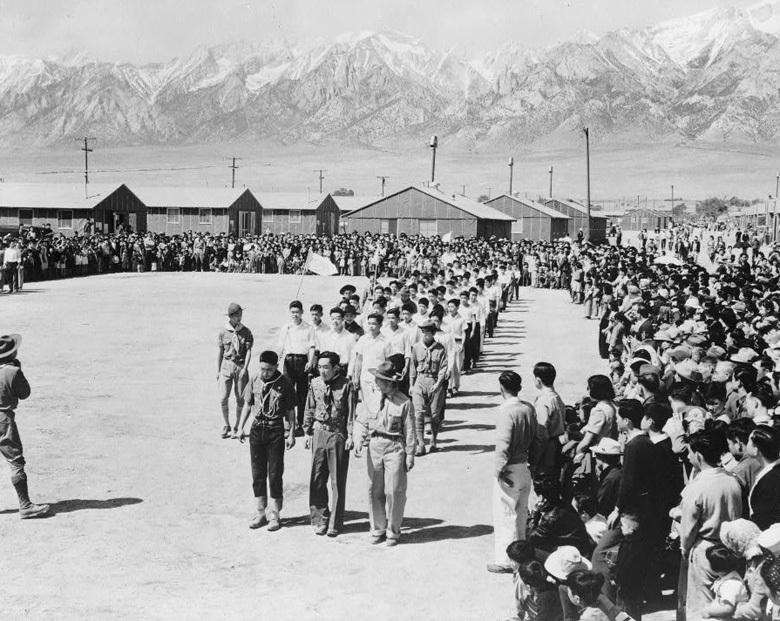 The government created three categories of Japanese internees: Nisei (native U.S. citizens of Japanese immigrant parents), Issei (Japanese immigrants), and Kibei (native U.S. citizens educated largely in Japan). By June, the government had relocated more than 110,000 Japanese Americans to camps scattered around the country. During the war the government convicted 10 Americans of spying for Japan, None were of Japanese ancestry. 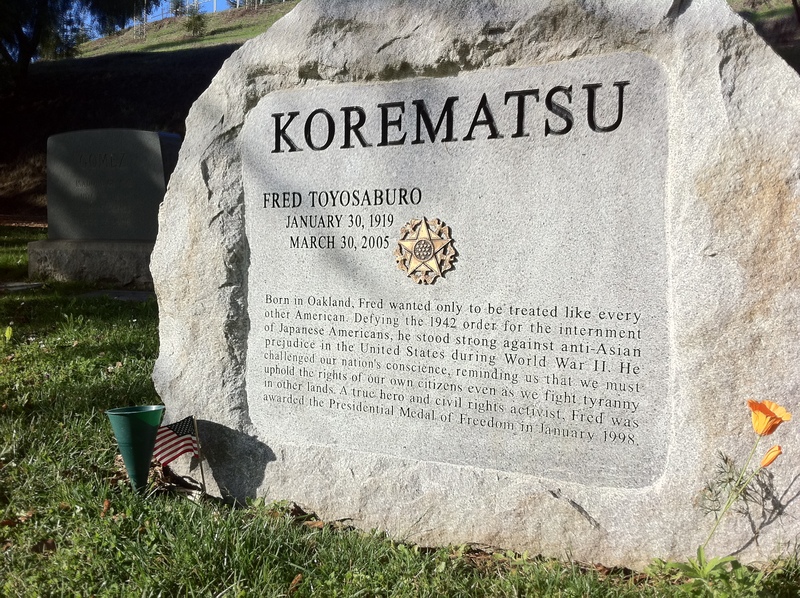 Japanese American Fred Korematsu, 23, refused to go to the the incarceration camp. He was arrested and convicted of defying the government’s order. He appealed. 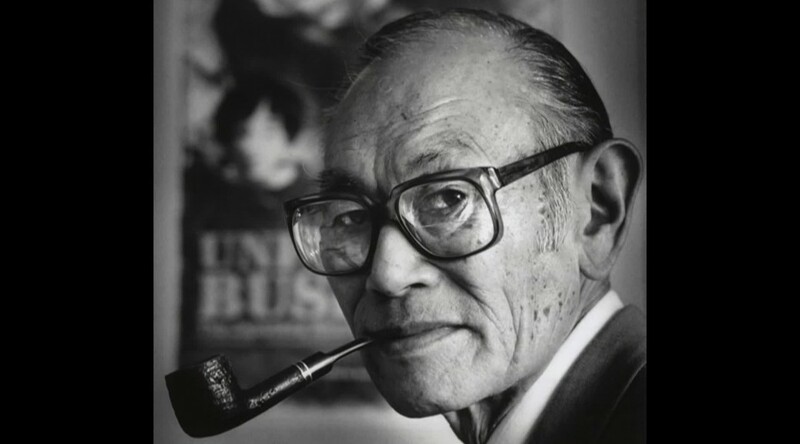 On December 18, 1944, the US Supreme court, in Korematsu vs United States, sided with the government ruling that the exclusion order was constitutional. With today’s often bitter discussions about who is American and who we should allow in the United States, it might be interesting to look at the aftermath of Korematsu vs the United States. 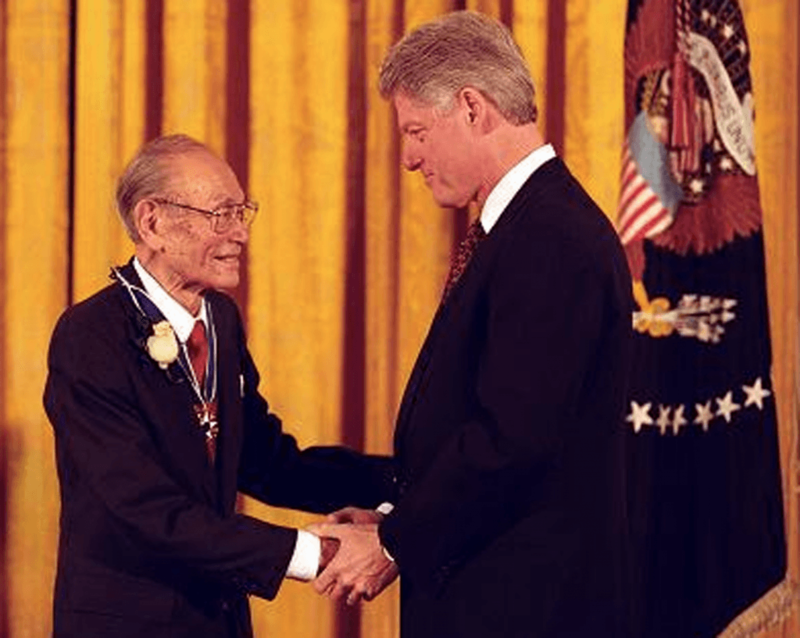 32 years after Korematsu vs United States, on February 19, 1976, President Gerald Ford signed “An American Promise,” which formally rescinded 1942’s Executive Order 9066 but contained no apology. 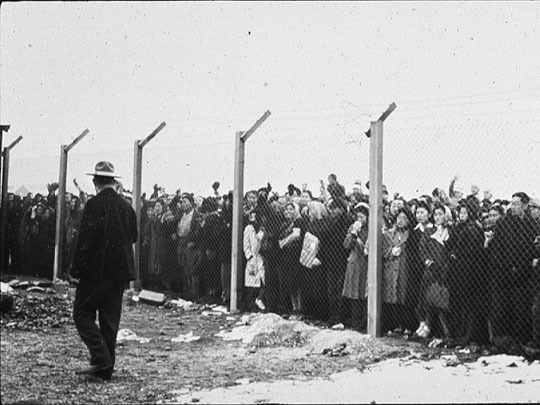 36 years after Korematsu vs United States, on July 31, 1980, President Carter signed the Commission on Wartime Relocation and Internment of Civilians Act, which created a group to study Executive Order 9066. 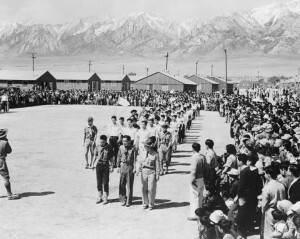 In 1983, the Commission concluded that the exclusion, expulsion, and incarceration of Japanese-Americans were not justified by military necessity and the decisions to do so were based on race prejudice, war hysteria, and a failure of political leadership. On January 15, 1998, President Clinton awarded Fred Korematsu the Presidential Medal of Freedom. 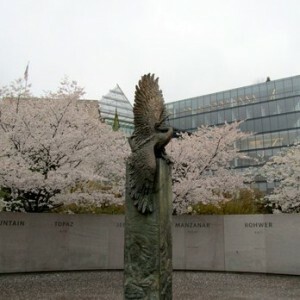 55 years after Korematsu vs United States, on October 22, 1999, groundbreaking on construction of a national memorial to both Japanese-American soldiers and those sent to internment camps takes place in Washington, D.C.
62 years after Korematsu vs United States, on February 17, 2006, the government designated Tule Lake Segregation Center a National Historic Landmark. 70 years afterward, on June 19, 2014, Don Miyada, 89, joined Newport (CA) Harbor High School’s 2014 graduating class on stage and received a standing ovation. He became an inaugural member of the school’s hall of fame. 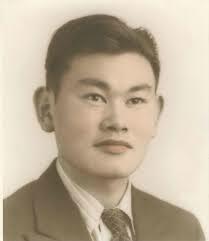 Miyada had missed his 1942 graduation because he was locked in an internment camp.